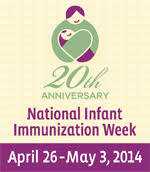 National Infant Immunization Week (NIIW) is April 27 – May 4, 2019. NIIW is an annual observance to highlight the importance of protecting infants from vaccine-preventable diseases and to celebrate the achievements of immunization programs and their partners in promoting healthy communities. Highlight the dangers of vaccine-preventable diseases, especially to infants and young children, and the importance and benefits of childhood immunization. Educate parents and caregivers about the importance of vaccination in protecting their children from birth against vaccine-preventable diseases. Focus attention on immunization achievements and celebrate the accomplishments made possible through successful collaboration. Step up efforts to protect children against vaccine-preventable diseases and thereby give them a healthy start in life. Encourage better communication between parents and healthcare professionals. Remind parents and caregivers of the importance of making and keeping needed immunization appointments. Provide help to parents and caregivers to locate a healthcare professional who participates in the Vaccines for Children’s program, a federally funded program that provides vaccinations at no cost to children whose parents cannot afford to pay for them. The purpose of Georgia Preteen Vaccine Awareness Week is to help raise awareness and encourage preteens to make smart, healthy choices including defending themselves against vaccine-preventable diseases. Georgia’s preteens include more than 351,500 boys and girls between 10 and 14 years of age. Some preteens may also need to catch up on other immunizations for the following vaccine preventable diseases including chickenpox, MMR (measles, mumps, rubella) and hepatitis B.
Preteens are at an age when they become more involved in decisions about their health. Such decisions set the foundation for a lifetime of healthy choices. In the following campaign toolkit are resources to help you promote Georgia Preteen Vaccine Awareness Week to media, your community, parents and other health care providers. Click here to access the 2019 Campaign Toolkit. 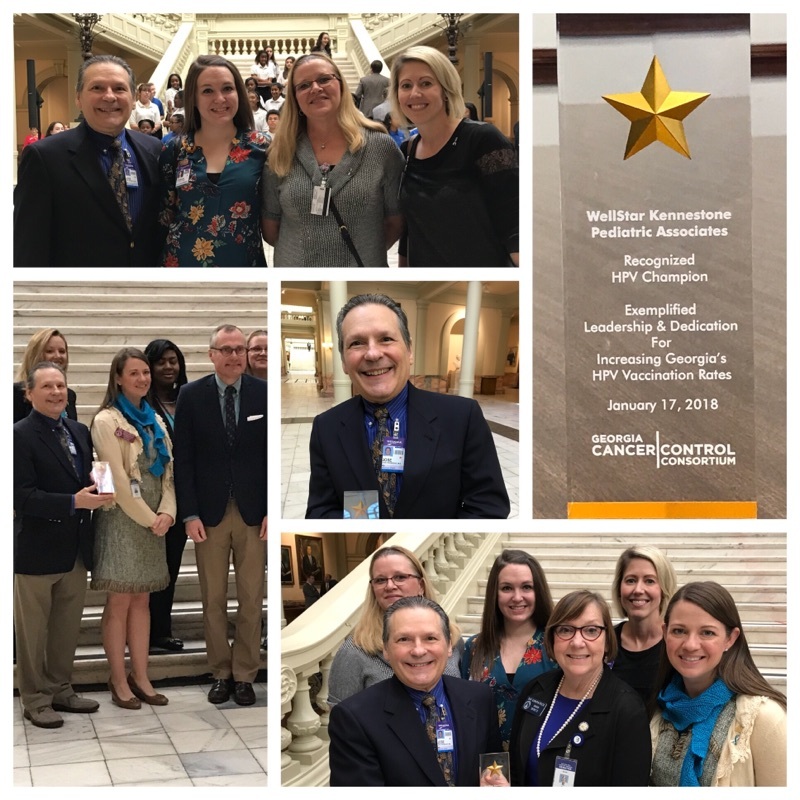 Congratulations to the following practices for completing the Georgia Chapter, American Academy of Pediatrics & Georgia Department of Public Health HPV Immunization Quality Improvement Project. The project was led by the Chapter office. The Chapter provided tools, resources, and technical support that lead quality improvement efforts amongst 9 practices. The goal of the project was to increase patients receiving one or more doses of HPV, increase HPV series completion rates, and reduce missed opportunities. This was done by using HPV Immunization Quality Improvement tools (Presumptive statement) and resources from the AAP Champion Toolkit. The project used GRITS/CoCASA to determine which patients were coming due or past due for a HPV Immunization. Offices then used the list to schedule appointments for patients. Once patients were in the office the providers used the HPV QI training, conducted during learning session I, to incorporate presumptive statements in communication with patients and parents. Practices worked with a multi-disciplinary “core QI team” of clinical and administrative staff from their office to improve immunizations rates. Across the board all the teams increased HPV immunization rates and decreased missed opportunities! Georgia Chapter Member Named CDC Childhood Immunization Champion! Feoderis Basilio, MD, FAAP is the recipient of the 2018 CDC Childhood Immunization Champion Award. 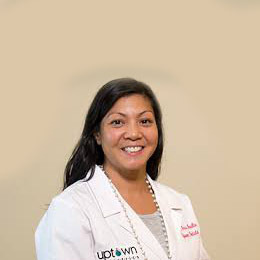 Dr. Basilio is a pediatrician at Uptown Pediatrics in Columbus, GA and serves as Secretary for the Georgia Chapter AAP. One champion is selected from each of the of the 50 U.S. states, 8 U.S. Territories and Freely Associated States, and the District of Columbia. The Champion Award is intended to recognize individuals who are working at the local level. It honors those who are doing an exemplary job or going above and beyond to promote or foster childhood immunizations in their communities. Congratulations Dr. Basilio from the Georgia Chapter, American Academy of Pediatrics! 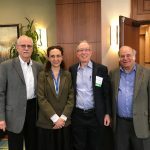 Physicians, physician assistants, residents, medical students, nurse practitioners, nurses and other healthcare and industry professionals spent the day learning about vaccinology, vaccine hesitancy, public health, infectious disease, coding & billing, influenza and emerging pathogens from esteemed colleagues. Click here to see topics discussed. Georgia Chapter AAP members Grace Davis, MD (Sylvester Pediatrics & Adolescent Medicine – Sylvester, GA), S andra Rodriguez-Sfeir and Jose Rodriguez-Torres, MD (Both from WellStar Kennestone Pediatrics – Marietta, GA) were recognized for their dedication to increasing Georgia’s HPV vaccination rates. Thomas County Health Department (Thomasville, GA) was also recognized. The awards were presented by the Georgia Cancer Control Consortium’s HPV Prevention and Education Work Group during Cervical Cancer Awareness Day at the Georgia Capitol. All award recipients were above National HPV immunization rates (National Immunization Survey – Teen) (CDC/NCIRD) and have exceeded the Healthy People 2020 HPV immunization rate objective. Twenty-five organizations, including Georgia Chapter AAP, were present to stand united with State Representatives Pat Gardner (District 57 Atlanta) and Teri Anulweicz (District 42 Smyrna) to promote the human papillomavirus (HPV) vaccination as cancer prevention. Click here to read more about the success of the project. Georgia Chapter Member Named 2017 CDC Childhood Immunization Champion! The Champion Award is intended to recognize individuals who are working at the local level. It honors those who are doing an exemplary job or going above and beyond to promote or foster childhood immunizations among children 0-2 years old in their communities. Dr.Samuel Gold (WellStar Medical Group Ambulatory Pediatrics/ Quality and Safety Lead) is board certified in pediatrics and has been with WellStar Towne Lake Pediatrics since 2001. 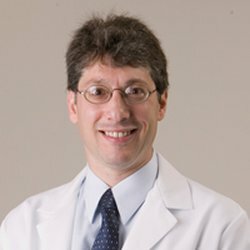 Congratulations, to Dr. Gold, from the Georgia Chapter of the American Academy of Pediatrics! Please click here to learn more about Dr. Samuel Gold and the award. The Georgia Department of Public Health’s Notifiable Disease / Conditions list was revised in July 2018 to include perinatal hepatitis B exposures. Infants and children exposed to hepatitis B virus (HBV) perinatally should be reported to public health within 7 days of identification of the exposure. HBV-exposed infants/children can be reported to the Georgia Perinatal Hepatitis B Prevention Program at (404) 651-5196. Make necessary changes in your practice to improve HPV vaccination rates. A link to the Tool Kit can be found here. Routine childhood immunizations are vital to individual and society health. Across the United States, immunization rates vary, and as a result, some communities have experienced preventable disease outbreaks. Higher immunization rates protect vulnerable children who are too young to be vaccinated as well as those who cannot be vaccinated for medical reasons. Click here for the infographic. 1. The Need to Optimize Adolescent Immunization reviews the current epidemiology of meningococcus, pertussis, HPV and influenza in adolescents; and covers immunization rates and barriers to adhering to the adolescent immunization schedule. 2. Practical Approaches to Optimize Adolescent Immunization discusses ways to improve immunization rates, including strategies to enhance parental confidence in immunization. A summary from the AAP lists the key points highlighted in these two clinical reports. In response to news reports today suggesting a possible new federal commission on immunizations, the American Academy of Pediatrics reiterates that vaccines protect children’s health and save lives. They prevent life-threatening diseases, including forms of cancer. Vaccines have been part of the fabric of our society for decades and are the most significant medical innovation of our time.  Significantly decreased from 2014 to 2015 in ≥2 and ≥3 dose coverage for females. There was a non-significant decrease in ≥1 dose coverage among females.  Significantly increased from 2014 to 2015 in ≥2 dose coverage for males. There were non-significant increases in ≥1 and ≥3 dose coverage among males. One very important step in ensuring the health of any child is to make sure he or she receives immunizations at the correct time. Whether it’s a childhood MMR vaccine or an adolescent pertussis booster, these simple procedures can save lives. This AAP site has been created to answer any questions you may have about childhood immunization. Despite doctors’ and nurses’ best efforts to explain the importance of vaccines and to address parental concerns about vaccine safety, some families will refuse vaccination for their children. The Georgia Chapter of the American Academy of Pediatrics EPIC Immunization Program focuses on the epidemiology and prevention of vaccine preventable disease through proper scheduling and administration of vaccine across the lifespan. EPIC provides the most current ACIP recommendations for all vaccines and discusses the childhood, adolescent, and adult immunization schedules in detail. Other topics include proper administration, documentation, missed opportunities, school requirements and forms, Vaccines For Children (VFC) Program, vaccine safety, communicating risks, strategies to increase rates, storage and handling and more. On this webpage parents can learn more about the importance of having your child fully vaccinated, age-specific vaccine information, the 16 vaccine preventable diseases that your child can be protected against before 19 years of age and the vaccines that prevent them. Through collaboration with public and private providers, advocacy groups, and other stakeholders, the Program works to increase immunization rates for all Georgians and decrease the incidence of vaccine-preventable diseases. For more information regarding immunizations and what the Program provides visit this website. The Advisory Committee on Immunization Practices (ACIP) is a group of medical and public health experts that develops recommendations on how to use vaccines to control diseases in the United States. The ACIP consists of 15 experts who are voting members and are responsible for making vaccine recommendations. The Secretary of the U.S. Department of Health and Human Services (DHHS) selects these members after an application, interview, and nomination process. Fourteen of these members have expertise in vaccinology, immunology, pediatrics, internal medicine, nursing, family medicine, virology, public health, infectious diseases, and/or preventive medicine. One member is a consumer representative who provides perspectives on the social and community aspects of vaccination. This web page contains the latest national information about vaccine supplies and provides guidance to healthcare providers who are facing vaccine shortages or delays. *Note: Only those vaccines included on the recommended childhood and adolescent immunization schedule are included in this update. Vaccine Information Statements (VISs) are information sheets produced by the Centers for Disease Control and Prevention (CDC) that explain to vaccine recipients, their parents, or their legal representatives both the benefits and risks of a vaccine. Federal law requires that VISs be handed out whenever (before each dose) certain vaccinations are given. Information on all of the VIS’s can be found on this site. This federally funded program supplies vaccine free of charge to participating providers. The vaccine may then be made available to children up to 19 years of age who are: Medicaid Enrolled, Uninsured (child has no health insurance coverage), Underinsured (child has health insurance but immunizations are not a covered benefit) or American Indian or Alaska Native. The Georgia Immunization Registry is designed to collect and maintain accurate, complete and current vaccination records to promote effective and cost-efficient disease prevention and control. The Georgia Immunization Registry law, passed in 1996 and expanded by House Bill 1526, requires reporting by ” any person who administers a vaccine or vaccines licensed for use by the United States Food and Drug Administration to a person.” Several options are available for submitting immunization records to the Registry. Georgia’s immunization providers also have quick and easy access to immunization records on individuals and able to generate a variety of reports on their immunization status. Find additional information on this site.